Well, I guess it wouldn't really be the Holy Land without a little upheaval now and again. Powell, whose resignation was effective immediately, also relinquished his seat on the park's board of directors. Representatives for Trinity would not elaborate on the reasons for Powell's departure. But the world's largest Christian television network, which took control of the nonprofit Holy Land in June, said it "recognizes and applauds Mr. Powell for all of his efforts and support for the Holy Land Experience." Powell "assisted and participated in the negotiations and transition of the Holy Land Experience to its current association with Trinity, which has ensured the success, growth and mission of the Holy Land Experience," Trinity said. "Without Mr. Powell's involvement, this transition and success could not have occurred." Matt and Ricky are hoping their "Orlando Attractions" will fill a niche a "the only magazine available that covers all of the Orlando area theme parks, tourist attractions, restaurants and more with news, in-depth feature articles, attention-grabbing photos, updates and interviews". Sounds like it could be a fun read, like an O-Town "E-Ticket", if done right. But dead-tree publishing is an increasingly difficult business, and there's no word yet on their economic model or printing schedule. So we'll just have to wish them luck, and wait and see what hits the newsstands in the the coming months. * Spaceship Earth sans wand is so beautiful, it brought a tear to my eye. God's golf ball is back in its former glory! The show starts from the gate near the Imagination bathrooms, and travels to Inventor Circle, Fountain of Nations, or Mission Space plaza. Ask a CM in the area when and where the show sets are, because it is not to be missed for anyone with the slightest affection for Dr. Bunsen Honeydew and his long-suffering assistant Beaker. The performers behind the puppets do a first-rate job -- Dave Goelz and Steve Whitmire should be proud. This is the kind of experiment that gives us faith in the future of Disney technology -- now let's get these guys a permanent gig in front of Muppetvision 4D! * The beef bowls at the temporary food stand in front of the Japan pavillion are almost as greasy/salty/wonderful as the ones at Yoshinoya (Japan's answer to McD's). Be sure to ask for extra pickled ginger! 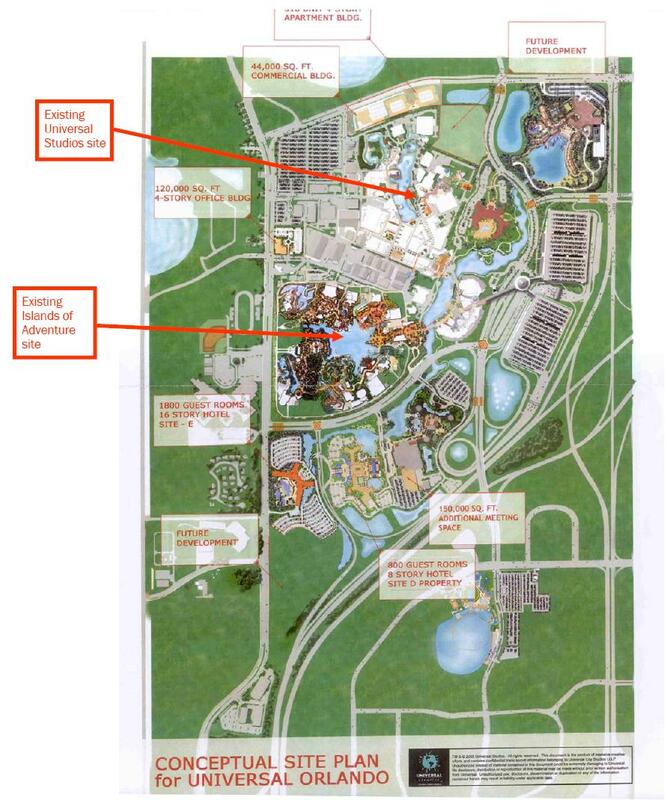 Disney Co. lobbyists have been instrumental in wresting new legislation out of Washington that will (of course) benefit Disney but that will also prove a boon to other Orlando attractions and a shot in the arm for U.S. tourism in general. Under the new law, more countries could qualify to send tourists to the United States without visas for up to 90 days. Only 27 nations can do that now, but tourism officials hope others will be added if required security improvements are made. The immediate beneficiaries will be South Americans. Ole! Disney deserves a lot of credit on this. The [Orlando CVB] recently released figures that about 300,000 South Americans came to Orlando annually from 2003 to 2005. Western Europe, whose travelers often don't need visas, sent about 1.4 million visitors to Orlando in 2006. That has pushed Disney and the $700 billion U.S. tourism industry to find ways to attract new tourists globally. To promote that goal in Washington, Disney last year joined top travel companies in a coalition called the Discover America Partnership. The group was central in promoting the visa change, at one point hiring as a consultant Tom Ridge, former secretary of the Department of Homeland Security. The partnership now wants Congress to help promote U.S. travel in overseas markets. "Disney has been very active in contributing to this process," said Geoff Freeman, executive director of the Discover America Partnership. Sound like fun? Well then, Los Disneys, a new video game, which I learned about through the CrunchGear site, may be just what you're looking for. Apparently this is a reissue of an older game that used be compatible only with Macs. According to the Los Disneys site, the new version "is now compatible with Windows and even allows for cross-platform network gaming." You can download the game at the site. Some other site features, including "Disneyworld Babylon," described as a "discussion forum for disgruntled tourists and employees of the Magic Kingdom," weren't working on a recent visit. From what I can see of the game via the screenshots, it looks like it gives players the opportunity to waste some beloved Disney characters. I can't imagine that Disney will sit still for this unauthorized use of their intellectual property. It'll be interesting to see how they respond. Also, I'm not a gamer myself, but I'd love to hear gamer reaction to Los Disneys. Feel free to post in the Comments. This video gives some idea of what it's all about. As a follow up to the earlier post on Orlando's Holy Land Experience . . . Attendance at the Holy Land Experience is up 25%. And no wonder! Jesus Christ is crucified and resurrected here six days a week. Snarling Roman soldiers whip and drag him, and somber audience members watch. Some quietly weep at a pageant both bloody and cruel. Questions of good taste aside, when it comes to the bottom line the new owners of the attraction must be doing soemthing right. Trinity Broadcasting Network, a California-based Christian empire with 12,500 worldwide TV and cable affiliates, took over Holy Land and its estimated $8 million mortgage. Both are nonprofit organizations, so Trinity describes the deal as a ‘‘marriage’’ rather than a purchase, saying little money changed hands. Already, ticket sales are up 25 percent, owing to mentions on the new parent’s broadcasts, and an expansion is planned. It will include new shows, a general freshening and a new Trinity television studio, where movies and TV shows will be filmed and furnish even more publicity. Not the Main Mouse himself, but a computer mouse emblazoned with the familiar tri-circle "Classic Mickey" symbol. Titanic, The Experience is out on the street. After a nasty landlord-tenant battle, the landlord unceremoniously evicted the long-running attraction from its home in the Mercado on International Drive. The developer and the exhibit owner have very different stories about the dispute that led to Monday's eviction. Unicorp Chief Executive Officer Chuck Whittal said a state Circuit Court ruling last week effectively put an end to confrontation, giving him the right to remove the exhibit from his property. "I wanted them to be part of the redevelopment," Whittal said. "The project we are going to redevelop is spectacular." But Michael Harris, owner of the Titanic exhibit, said he offered a variety of proposals for remaining in the Mercado, none of which was acceptable to Unicorp. I had been told that the attraction was going to be moving to new digs nearby. Whether that's still a possibility is unknown. WESH has more, plus video. Has Disney Crossed a Line? Tinker Bell on a martini glass? Groan. Try perching Mickey or Minnie or one of the Disney princesses seductively on the rim of a martini glass, then calling it a Disney collectible poster. Forget it. Some things just can't be mixed without looking goofy or profane. Yet there is one Disney character who pulls it off, in the new Disney poster "Tinkertini" by California artist Mike Kungl: Tinker Bell, the cartoon pixie with the fairy-tale innocence and the Jessica Rabbit figure. The Walt Disney Co. has rediscovered the old favorite, modeled after actress Margaret Kerry and introduced in 1953 to Disney audiences in the animated film Peter Pan. With multiple new lines of T-shirts, toys and other products already out or on their way, Disney is capitalizing on the notion that Tinker Bell's spunky persona, mysterious back story and pinup-girl looks give her an appeal to Disney's usual safe-for-families market -- and a little beyond. Maybe I'm just feeling old this morning, but the last company I want to see further sexualizing children and the cute little fairies they adore is Disney. No guarantees, of course, but it looks like Dean is heading for Mexico. Have you added your Orlando Vacation snapshots to The Other Orlando Blog Flickr group? Add your pictures today and they will show up in the photo viewer below. It's early days yet, but a tropical depression way out in the Atlantic has strengthened to Tropical Storm intensity and been chirstened Dean. WESH has the details. 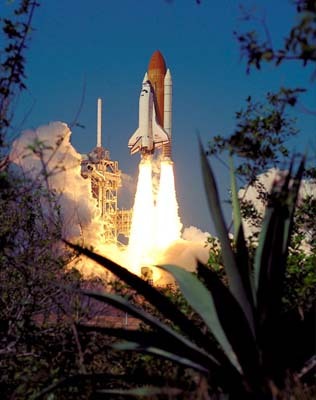 The launch of Endeavour was a success. WESH TV has a nice slideshow of the launch and the astronauts. More on the mission here. Want to see the future of Universal? A few days ago, Disney announced a hike in admission prices. Handed yet another opportunity to differentiate itself from the "evil corporation" (a Simpsons Movie reference) down the road, Universal punted. The same day it reported a rise in corporate profits and a continued slide in theme-park attendance, Universal Orlando raised many of its ticket prices Friday, matching Walt Disney World's $71 for a one-day adult admission. The new prices took effect immediately, days after Disney instituted similar increases. Both resorts raised their basic one-day, one-park ticket by $4. Oh, I get it. "We're making more money and people are staying away. So, if we raise prices, convincing more people to stay away, we'll probably make even more money!" In a widely anticipated move, Disney has announced that Disney-MGM Studios will become "Disney's Hollywood Studios." "The new name reflects how the park has grown from representing the golden age of movies to a celebration of the new entertainment that today's Hollywood has to offer -- in music, television, movies and theater," Disney World President Meg Crofton stated in a news release. Huh? So I ask again: No PIxar? No ABC? Terror, like hope, springs eternal. Terror in Orlando, a successor to Terror on Church Street (of blessed memory) and more recently Skull Kingdom, has opened at 7316 International Drive, not too far from Pirates Adventure. It's a "soft opening," so until they get their act together, they're offering cheap thrills. After 10 months of long days and nights, Terror in Orlando is opened at 4pm on Friday, July 13, 2007. That's right, Friday the 13th. As of right now, with all the delays we have experienced, only Mayhem Manor will be open while we put the finishing touches on the 3-D Funhouse, which will be open as soon as possible. As a special offer for the soft opening, we are giving everyone an automatic coupon for $2.00 off Adult and $1.00 off children on a regular, single admission*. We are also offering a "2nd Scare Rerun" (to take the tour again in the same visit) for 50% off the regular admission price. We hope to see all of you soon, and thank you for all of your support. Looks like Disney is going to extend its popular "Year of a Million Dreams" program through 2008. So says a promo sent to annual passholders. The popular program -- which includes daily prize giveaways awarded randomly -- has been credited with increasing attendance at all of the Walt Disney Co. (NYSE: DIS) parks since it debuted in October 2006. No specific details are available yet on whether there will be changes to the types of prizes given away, but speculation is that at least a few new tweaks to the program are in store for 2008. From August 9 to 12, Prime Outlets is offering you and me the same deal they give to friends and family, namely 30% off what are (we presume) already discounted prices. They say that means up to 60% off ticketed prices. Prime Outlets is located at the northern end of International Drive, not too far from Universal Orlando. Interested? You can print out a coupon. Check out more about outlet shopping in Orlando. Be part of the Busch Gardens’ Howl-O-Scream 2007 Scare Squad. No experience is necessary! Tryouts are held at Busch Gardens Tampa Bay every weekend now through Sept. 8. The auditions are held Fridays from 5-8 p.m. and Saturdays 11 a.m. to 2 p.m. No tryouts will be held on Labor Day weekend. Candidates must be 18 or older. All ages are welcome; our oldest performers are in their 80s! The jobs involve evening and weekend hours. This is the perfect second job or way to earn extra holiday cash. The rehearsals start in September. Event runs 16 nights, Sept. 28 – Oct. 28. We have hundreds of performing roles available in our Haunted Houses, Scare Zones and with our atmospheric entertainment throughout the park. Non-performing roles also available. Please visit BuschGardensTalent.com for more information. I like that "no experience necessary" part. Looks like Bruce Willis' gig at Kennedy Space Center was a big success. Some 7,000 people showed up to watch Bruce Willis and his blues band perform at the Kennedy Space Center's rocket garden. Fans cheered as Willis sang and played the harmonica, filling the moments between songs by bantering with the crowd. "We love playing for you," Willis said at Thursday night's show. "Even when it's hot." Disney has announced a whopping six percent hike, raising basic adult tickets to a record $71. Disney announced Friday that the new ticket prices would take effect Sunday. The changes also affect discount packages that still can push the per-day cost below $23 for adults who want to commit to as much as a 10-day run at Disney's four theme parks. An adult, one-day, one-park pass that now costs $67 will go up to $71. Price increases of 3 percent to 6 percent were tacked on to most of Disney's "Magic Your Way," Florida discount and annual-pass deals. Maybe Mickey just felt he desperately needed the money. Disney World's increase came just two days after corporate parent Walt Disney Co. announced a $1.1 billion third-quarter profit and another good season at the company's theme parks, where profit margins topped 20 percent. And what about those other parks? There was no word Friday out of either Universal Orlando or SeaWorld Orlando about whether they, too, expect to raise prices soon. Both said they make those decisions independently. Yet Central Florida's theme-park resorts have a history of raising ticket prices at about the same time to about the same amounts. For comparison, here is the latest Universal Orlando pricing (with tax included). Skull Kingdom is now not merely dead but officially, sincerely dead.